Our team of experienced criminal defense lawyers practice in Oakland County courts on a daily basis and we have done so for decades. The partners at LEWIS & DICKSTEIN, P.L.L.C. 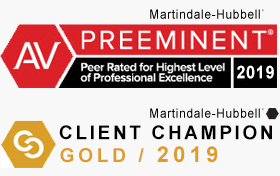 are nationally recognized for their passionate representation of clients in Oakland County Circuit Court and the various Oakland County District Courts. If you are looking for the best Oakland County criminal attorney for you, please call Lewis & Dickstein, P.L.L.C. for a free consultation. We will do everything possible to find a way to help and protect you! The Oakland County criminal attorneys with LEWIS & DICKSTEIN, P.L.L.C. 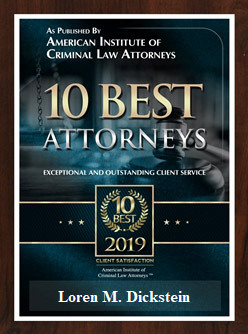 are dedicated to the passionate, tenacious and compassionate representation of those charged with a felony or misdemeanor in Oakland County, Michigan. We have decades of experience successfully defending criminal allegations in Oakland County and we are adept at handling all aspects of criminal matters from pre-charge, charge, trial, appeal and post-conviction motions. We know that the consequences of criminal charges can be life changing in a tragic way. It is for precisely this reason that our Oakland County criminal lawyers stop at nothing in order to protect our clients from being over prosecuted, falsely prosecuted or from being taken advantage of by a prosecutor or a judge who does not care enough to adequately consider our client’s personal situation. We put forth our best possible effort in each of our cases and our highest priority is to achieve a dismissal of all charges if possible. The level of experience, dedication and zealousness you will find with LEWIS & DICKSTEIN, P.L.L.C. is unmatched. protect you, your family and your future. The Oakland County Circuit Court is located at 1200 N. Telegraph Road, Pontiac, MI 48341. The court and its judges are notoriously tough and harsh on those individuals charged with criminal offenses. Often lawyers say that in Oakland County, there is a presumption of guilt and innocence must be proven. In fact, many lawyers just refuse to practice criminal defense in Oakland County and will not take cases in that jurisdiction. In our experience, we have been able to achieve extraordinary results for our clients in Oakland County though tenacious, aggressive, fearless and zealous legal representation. Similar to the reputation of the Oakland County courts, the Oakland County Prosecutor’s Office is known for being almost militant in its prosecution of cases regardless of whether there is substantial evidence of a person’s guilt (and sometimes where there is substantial evidence of innocence). We are frequently asked when potential new client’s come to meet with us for the first time, “Why are they going after me like this?” The truth is that it’s not any one particular case, they go after all cases like they are capital offenses. Although at first it may seem like this is a good thing for Oakland County residents, the downside is tragic. The Court also handles personal protection orders, driver license restoration, many administrative appeals, child support warrants, Motions for Relief from Judgment, hardship appeals, violations of personal protection orders and more. Often times, innocent people are wrongfully charged or people are overcharged and the Oakland County Prosecutor is very reluctant to consider any possibility that a charge may be incorrect. It is for precisely this reason that anyone charge in Oakland County, Michigan, should call Oakland County criminal firm, LEWIS & DICKSTEIN, P.L.L.C. for a free consultation at (248) 263-6800 or fill out a Request for Assistance Form and an experienced Oakland County defense attorney will promptly contact you.